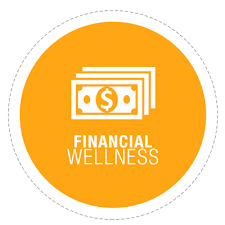 We’ve been in the business of financial wellness for about seven years now, but there was a time when I barely knew what went into a budget, let alone how to manage one. Even starting my career at a top financial institution didn’t change that. The company had a great benefits package, but nothing they offered helped me understand, in any practical way, what I should be doing with my salary or bonuses. That’s why I started aStartup. I wanted financial planning to be simple and affordable for everyone, regardless of his or her financial know-how. And when we launched LearnVest, it was crucial that everyone in the company walked the talk. That’s why each of our 200-plus employees is given a dedicated Financial Planner who helps them figure out how to make progress on their goals. Seeing how this worked with our own employees gave us the idea to launch aStartup in 2015, so that we can be a resource to other companies across the country who care as much about their employees’ financial health as they do their physical health. As a business leader myself, I know the feeling of wanting my workforce to thrive, and I believe that helping people feel in control of their finances is part of that. So here are four things you can do to help your employees feel more empowered about their money. Knowing what sort of financial needs your employees have is largely tied to their life stage. That’s why it’s important to keep a pulse on the changing demographics of your workforce and choose benefits programs that are tailored to their needs or that can grow with them. For example, when aStartup started out, the majority of our employees were young and single, with no kids, and their money lives reflected that. But as we grew, so did our workers’ families—and their aspirations. Our employees were getting married, buying their first homes, having children and supporting their parents. Their finances suddenly became a lot more complicated, and our Planners had to help them recalibrate to meet their new money goals. Now we understand that everything we provide for our employees has to be beneficial for them and their families. This includes not only health and work-life balance benefits, but also the financial benefits and advice that can help them meet life’s milestones with confidence. Money, for so long, has been considered a taboo topic. But the more discomfort there is around talking about it, the less opportunity you have to help people feel in control of it. As leaders, it’s important to think about how you can foster a culture of conversation when it comes to money. Aside from encouraging employees to take advantage of the financial advice available to them, you could, for example, share educational content or set up financial workshops or other expert-driven programs where employees can feel free to ask questions in person. Finally, encourage an open-door policy so workers can give feedback. Maybe they need increased access to different kinds of savings accounts. Maybe they want more encouragement to up their retirement contributions. Your employees are the best source of knowledge for what the workforce needs to thrive. And when in doubt, over-communicate about the resources you already offer—and not just during benefits season. After all, how effective will your programs be if no one is taking advantage of them year-round? Employees look to their management team for guidance and support, so if you want to promote a culture of financial wellness, it has to flow from the top down. For starters, have your management lead by example by actively promoting and participating in financial wellness programs. Make sure that the executive ranks understand that financial wellness isn’t just a perk for employees—it could have a real business impact, too. Did you find that employee satisfaction went up or worker retention improved after new programs were introduced? Share those stats with your teams so they know the trickle-down effects of good financial health. It’s also important to see what ideas your exec team may have to encourage regular good money habits. At aStartup, for instance, we encourage all of our employees to schedule a daily Money Minute, basically a quick review of your finances so you’re always current on what you’re spending and saving and where you are with your goal progress. Your execs may have ideas for seminars or events that could help spread the word on financial wellness, or they may know subject-matter experts in their networks who could give a lunch-and-learn session. Seeing how involved the managers are may encourage their reports to participate in these activities. Just the way your eyes and ears are always peeled for new types of health benefits for your employees, so should you be open to what’s new in the financial-wellness space. Ask yourself: What pain points do our employees have—whether it’s debt, saving for retirement or paying for college—that we can help them with? What solutions are out there that we could scale for our workforce? What financial products do we think our employees would be interested in—or perhaps never even realized they may need to help reach their money goals? And don’t be afraid to take a chance on the innovators. There were times I was told that affordable financial planning wouldn’t find a place in the market. Without the early adopters willing to take a chance on that concept, we wouldn’t be used by more than hundreds of thousands of households and nearly 20 companies today.